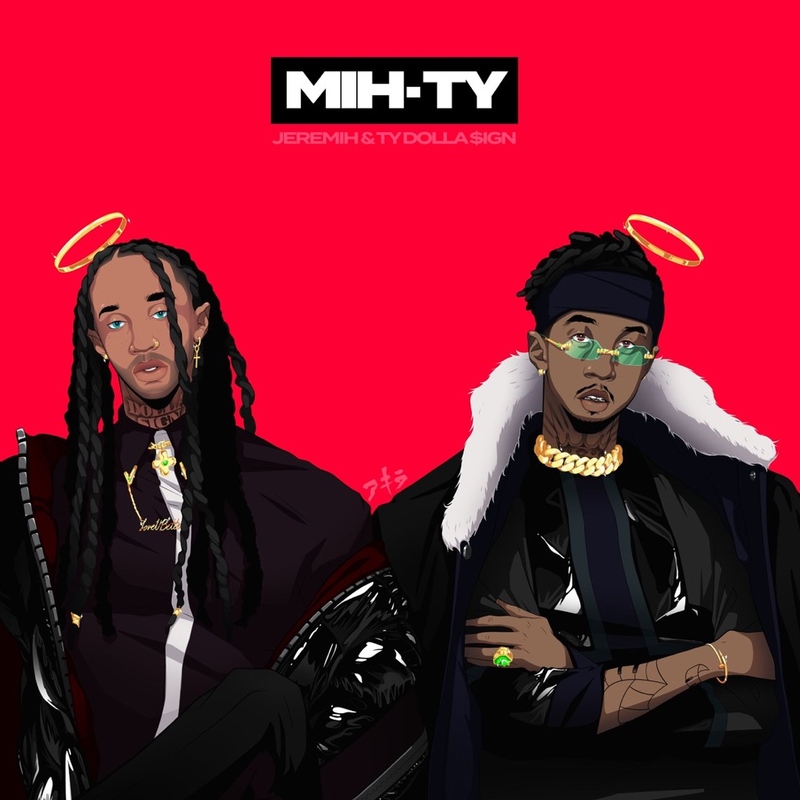 Multi-platinum, Grammy nominated Def Jam icon Jeremih and prolific multi-platinum Grammy nominated singer/songwriter Ty Dolla $ign announce the release of their eagerly anticipated album, Mih-Ty featuring French Montana, Chris Brown, and Wiz Khalifa. Listen to the album HERE. Jeremih’s 2015 release, Late Nights (December 2015) was his third Def Jam album, which contained a trio of double-platinum R&B/hip-hop/pop crossover hits: “Don’t Tell ‘Em” (featuring YG), “Planes” (featuring J. Cole), and “Oui.” Jeremih, whose combined YouTube views have passed the 730 million mark has the distinction of charting 17 RIAA gold, platinum, and multi-platinum smash singles, most recently co-writing French Montana’s 5x platinum “Unforgettable”. Jeremih was featured on Kanye West’s Ye (“Wouldn’t Leave”), Valee’s “Womp Womp”, and other releases from DJ Khaled, Chance The Rapper, and more. Los Angeles-bred singer/songwriter/multi-instrumentalist, TY DOLLA $IGN has been one of the most acclaimed singers and in-demand writers, producers, and featured artists since helming YG’s 2010 smash, “Toot It and Boot It.” 2014’s BEACH HOUSE EP introduced the 4x platinum “Or Nah ft. Wiz Khalifa & The Weeknd” and the 2x platinum “Paranoid ft. B.o.B” His now Gold-certified debut album, FREE TC, which features the multi-platinum hits “Blasé ft. Future & Rae Sremmurd” and “Saved ft. E-40.” Ty’s second studio album, BEACH HOUSE 3, was released in October 2017 followed by the deluxe release in May of this year. Ty undoubtedly took over Summer 2018 as both a writer and featured artist. In addition to receiving his first Billboard Hot 100 #1 with Post Malone’s “Psycho,” the Grammy-nominated phenom’s talents are featured on Beyoncé and Jay-Z’s EVERYTHING IS LOVE (“Boss”,) Drake’s SCORPION (“Jaded” and “After Dark”), Kanye West and Kid Cudi’s KIDS SEE GHOSTS (“Freee Ghost Town Pt. 2”,) Mariah Carey (“The Distance”,) Christina Aguilera (“Accelerate”,) Teyana Taylor (“3way”) and Kanye West’s ye, where Ty is featured on 3 out of 7 songs (“All Mine,” “Wouldn’t Leave,” Violent Crimes”.) Following what many critics have called “The Year of the $ign,” Ty is currently working on his highly-anticipated third studio album. 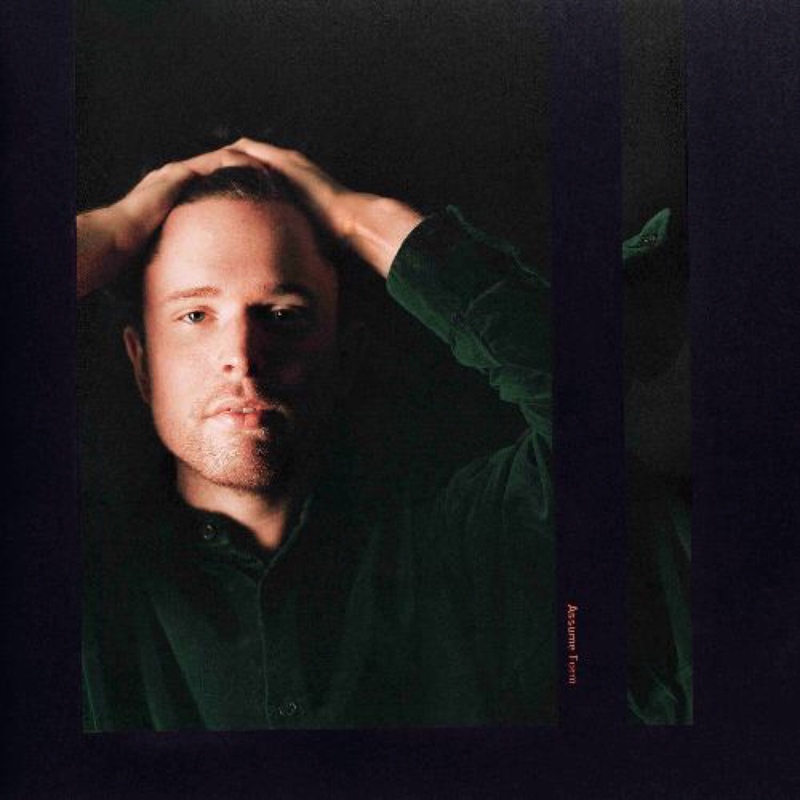 This entry was posted in Uncategorized and tagged 360, 360 Magazine, albums, Chris Brown, collaboration, def jam, Def Jam Recordings, Global Society, Grammys, hip hop, iTunes, jeremih, Late Nights, Mih-Ty, multi-platinum, music, New Album, new artists, new music, r&b, rapper, recording artist, Reid Urban, Shazaam, songwriter, soundcloud, streaming, Ty Dolla $ign, Vaughn Lowery on October 26, 2018 by wp360mag. Philadelphia rapper Matt Ox releases his record “Jetlag Ft. Chief Keef” today, right on the heels of his song “Zero Degrees.”The 13-year old recently signed with Motown and will release his album “OX” on October 30, 2018. 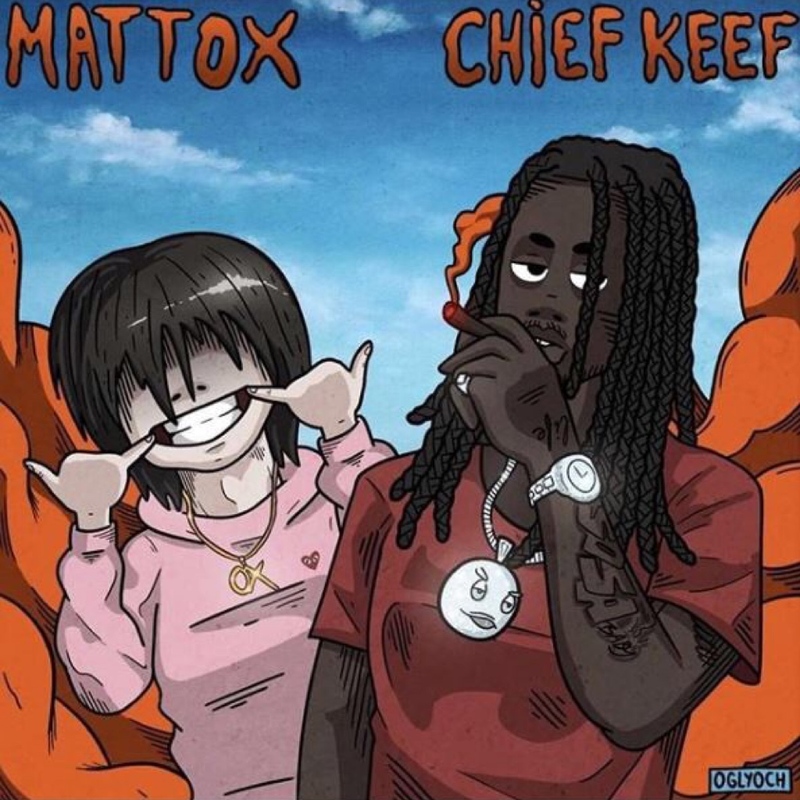 This song is full circle moment for Matt Ox and Chief Keef, representing an endorsement, or passing of the torch, moment. Keef himself started rapping before he was in his teens. In 2017 Matt was invited to open for Chief Keef in LA at the tender age of twelve, though fair to say for Matt Ox, twelve was a less than tender age, being very much a streetsmart kid from Philly. Matt Ox is more than a hyperactive kid who likes fidget spinners and the anime character Death Note. With 46.7 million streams — from just a handful of singles — and a clutch of viral videos, his music caught the attention of the Working On Dying production collective, Motown Records, Chief Keef, PnB Rock, Lil Yachty, Meek Mill, Post MaloneÂ and Lil Uzi Vert and festivals such as theMad Decent Block Party, Roots Picnic, Ill Rootsand Day and Night Festival. Hip-hop was embedded into the Philly native at an early age. “I’ve been wanting to be an artist since I was a kid,” he says. A fan of Eminem and Kendrick Lamar, Ox tinkered with the guitar and keyboard. Raised by his mother, Ox’s uncle would take him to concerts and to the studio (himself being a musician), and soon Ox was editing videos and engineering songs. As a result, Ox caught the attention of notable producers Oogie Mane and Forza and the Working On Dying production collection, who produced Ox’s single Overwhelming (with has 6.58 million soundcloud listens, and its accompanying video boasts 23.7 million views). When Matt earned his first check from his music, he spent it on getting he and his mom an apartment of their own, and then equipment to make a home studio in that apartment. This entry was posted in Uncategorized and tagged 360, 360 Magazine, artist, chief keef, freestyle, full circle, Global Society, guitar, hyperactive, iTunes, Jetlag, keyboard, Los Angeles, Matt Ox, Motown records, music, musician, new music, new single, Overwhelming, Ox, passing of the torch, Philadelphia, production collection, rapper, recording artist, Reid Urban, soundcloud, streaming, Vaughn Lowery on October 26, 2018 by wp360mag. 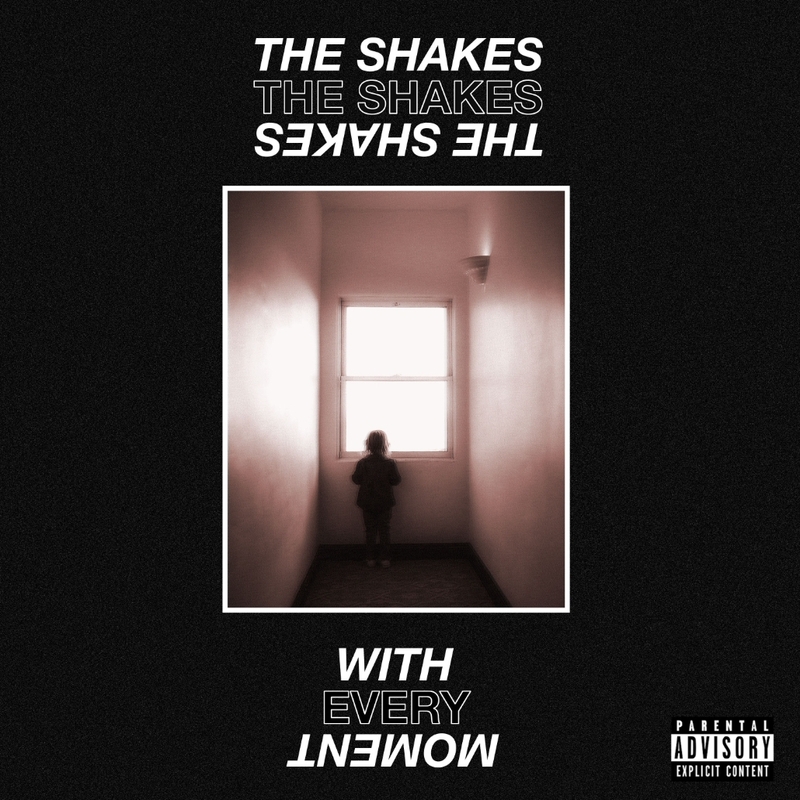 Hailing from the depths of Orange County, CA, Indie-alt collective The Shakes debut the official music video for “With Every Moment”. The video, does indeed capture Perry’s unique sound which blends 80’s inspired grooves with infectious “Britpop” influenced lyrics and melodies. Comes right on the heels of the young collectives highly anticipated debut EP, released independently on July 23rd, 2018. The Shakes who have had a big year so far since their big break performance at The Troubadour, opening for The Strike earlier this year. Followed by many other key shows throughout Los Angeles and Orange County. Upon the EP’s release, not only were loyal cult followers thrilled, but also a new segment of listeners across the country. Partly due to key, infectious tracks such as “Scumptious” immediately pulling over 200,000 plays through streaming with praise from a wide range of well established music blogs online. You can check out the full EP for yourself on all streaming platforms. With support from larger artists within the scene, such as Francois Comtois of Young The Giant. Whom featured on their debut single “Somebody” last year. THE SHAKES, aim to be a new refreshing voice within the rock scene and don’t look to be slowing down anytime soon. Already in the works on their next single “Six Feet Below”, coming early this fall. You can view the cinematic video via youtube and IGTV on their instagram: @theshakesmusic which is cultivated with cinematic tones that are undeniably captivating. 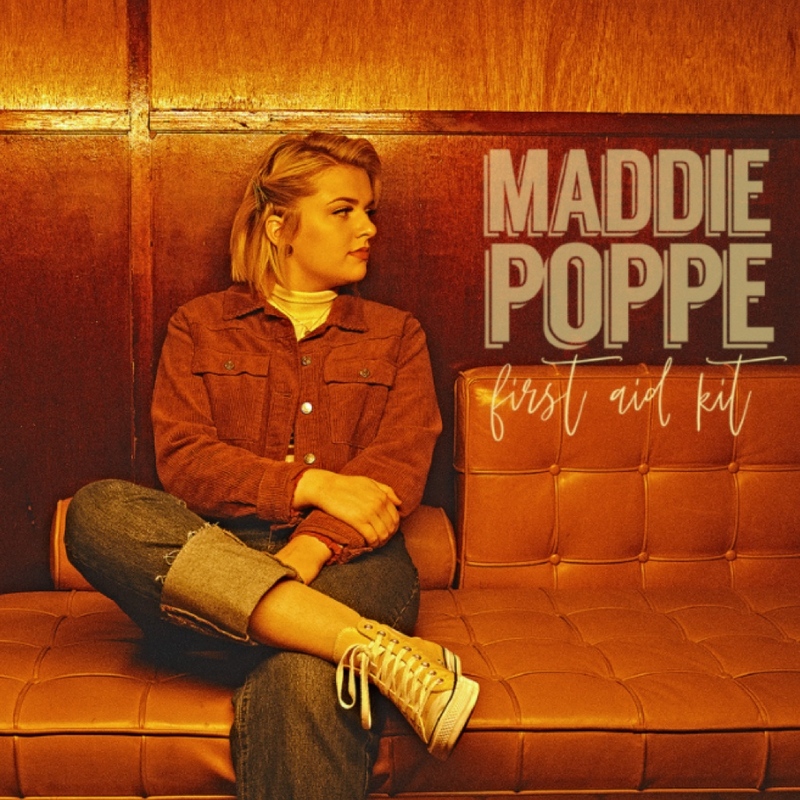 This entry was posted in Uncategorized and tagged 360, 360 Magazine, artists, Atrin Yazdani-Biuki, Benny Gigliardi, country, Debut, debut ep, debut EP release, Debut Single, ep, followers, Francois Comtois of Young The Giant, group, IGTV, INSTAGRAM, listeners, music, music video, OC bands, Olympic athlete, orange county, release, Sean White, single, Somebody, streaming, Super Whatever and Hearts and Lions, THE SHAKES, theshakesmusic, tracks, Vaughn Lowery, Video, With Every Moment on August 31, 2018 by wp360mag. BARNS COURTNEY’S NEW SINGLE IS OUT TODAY. North American Tour with The Wombats kicks off September 27 at Los Angeles Belasco Theater and includes October 30 at Terminal 5 in NYC. 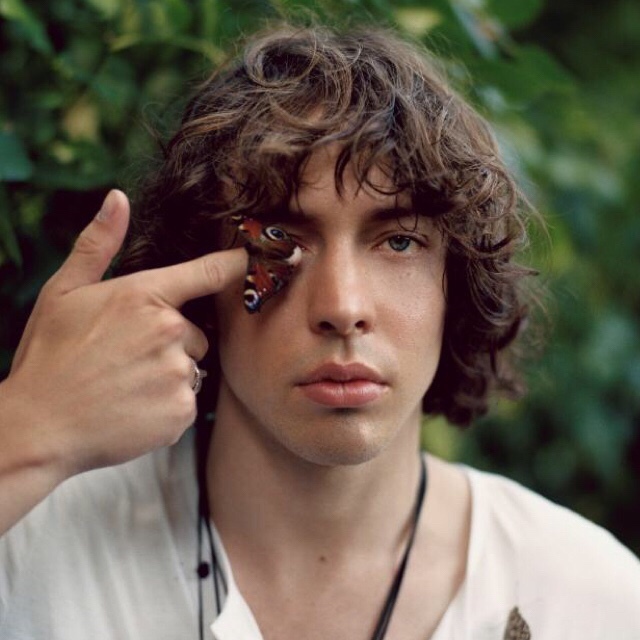 Barns Courtney has a quarter of a Billion Cumulative Streams Worldwide. Today, Barns Courtney returns with his first new music since the 2017 release of his debut album, The Attractions Of Youth, which racked up more than 240 million global streams and found him performing on such shows as CONAN and The Late Late Show with James Corden as well as for audiences around the world in what Rolling Stone hailed as a stomping, swaggering rock & roll balancing act teetering between blinding light and total darkness. “99” his new single, evokes the giddy bliss of coming of age at the turn of the century and the comedown that grown-up life can be. The two-track single includes another new song, “Good Thing,” as the B-side. Both tracks are from Barns Courtney’s forthcoming album, details of which will be revealed soon. Download/stream “99” and “Good Thing” HERE. Barns Courtney says, “This is the first song where I’ve ever been able to inject my true personality. I grew up in a suburban Seattle playing video games and watching Pokémon. “99” has got genuine sadness, but it’s got playfulness, and it references the nerdy parts of my personality where I’m in Seattle in the late 90’s with my friends in front of the TV screen playing Nintendo 64. It’s got that silly playfulness where I reel off list of dated games consoles at the end. That sense of poking fun at yourself. The universal goal is that to be successful is to have shiny status symbols, so there are people who’ve grown up and got the house and the Ferrari, but here I am clutching my old Sega Megadrive. This entry was posted in Uncategorized and tagged 240 million global streams, 360, 360 Magazine, 99, album, barns Courtney, good thing, music, music industry, nerdy, new single, out now, Pauline Huynh, personality, playful, silly, single, streaming, the attractions of youth, two track single, Vaughn Lowery on August 24, 2018 by wp360mag. DRAKE has just made history becoming the first artist to surpass 50 billion streams across all global streaming platforms. 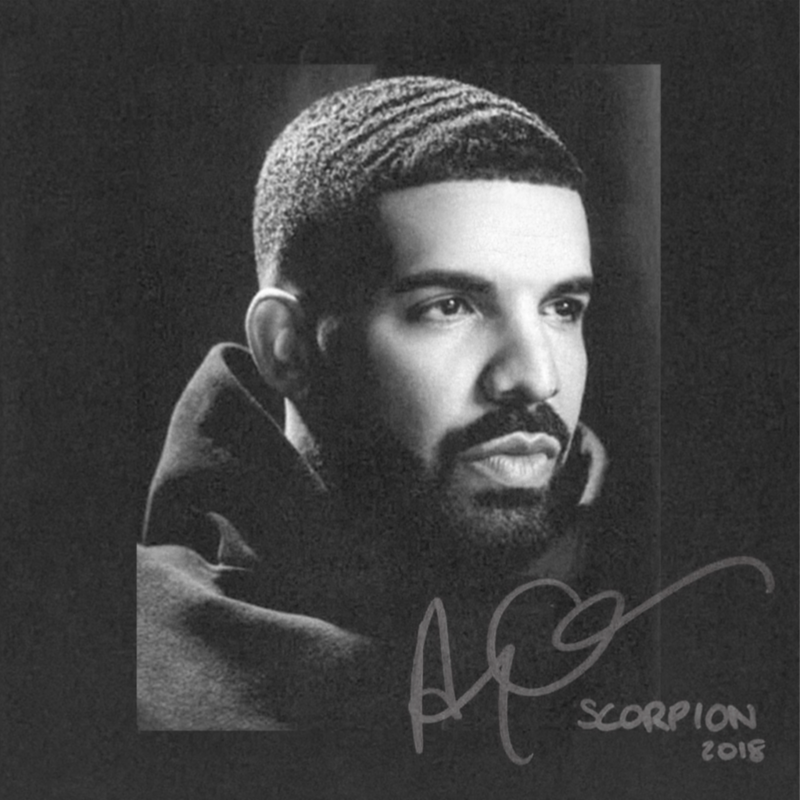 His latest full-length album, Scorpion, has successfully pushed the artist into rarefied air. 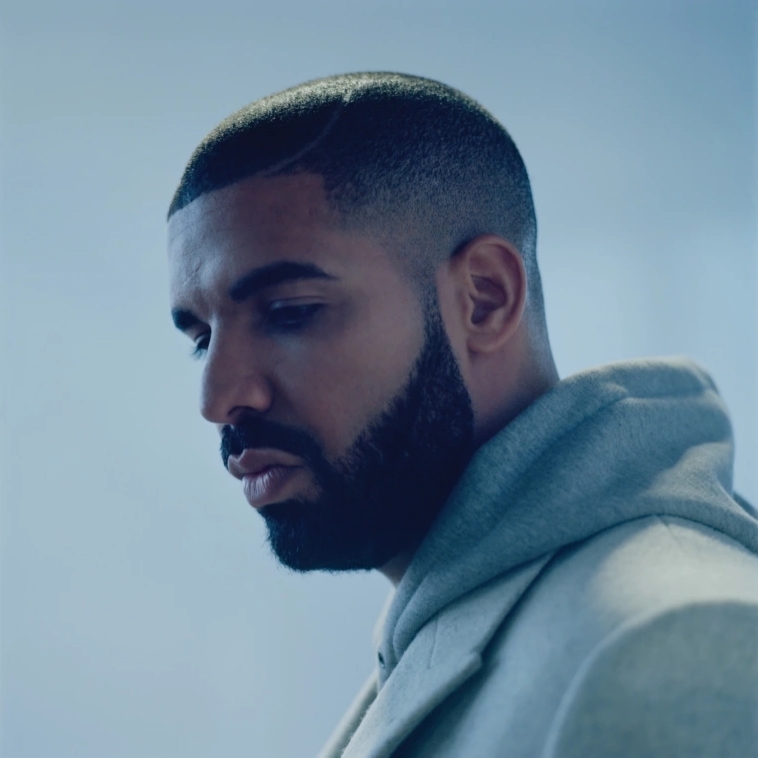 On top of the streaming record, Scorpion is sitting atop the Billboard Top 200 for a fifth straight week and the hit single ‘In My Feelings’ sits atop the Billboard Hot 100 for a fourth straight week, bringing Drake’s total Hot 100 run to 23 weeks in 2018. This entry was posted in Feature and tagged 360, 360 Magazine, album, artist, Atrin Yazdani-Biuki, billboard, Billboard Hot 100, Billboard Top 200, Celebrities, Celebrity, Drake, Global Society, hit single, hollywood, In My Feelings, music, music video, rap, rapper, rapping, Scorpion, singer, stream, streaming, us, USA, Vaughn Lowery, Video on August 8, 2018 by wp360mag. 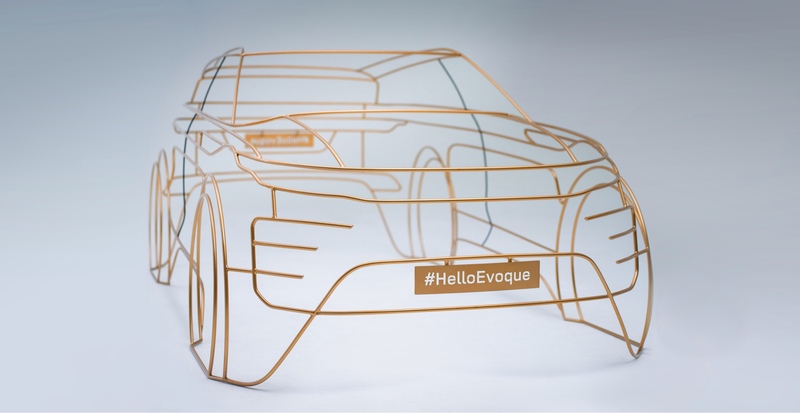 This entry was posted in Design and tagged 360 Magazine, album, artist, Atrin Yazdani-Biuki, billboard, Billboard Top 200, catchy, Celebrities, Celebrity, Debut, design, digital, Drake, fashion, full-length album, Global Society, history, hollywood, music, music video, new record, performer, pop culture, popular, rapper, record, RIAA, RIAA Certifications, sale, Scorpion, SING, singer, song, stream, streaming, trend, Vaughn Lowery on July 9, 2018 by wp360mag. Research shows increasing your customer retention rate by five percent has the potential to increase your profit by up to 95 percent. 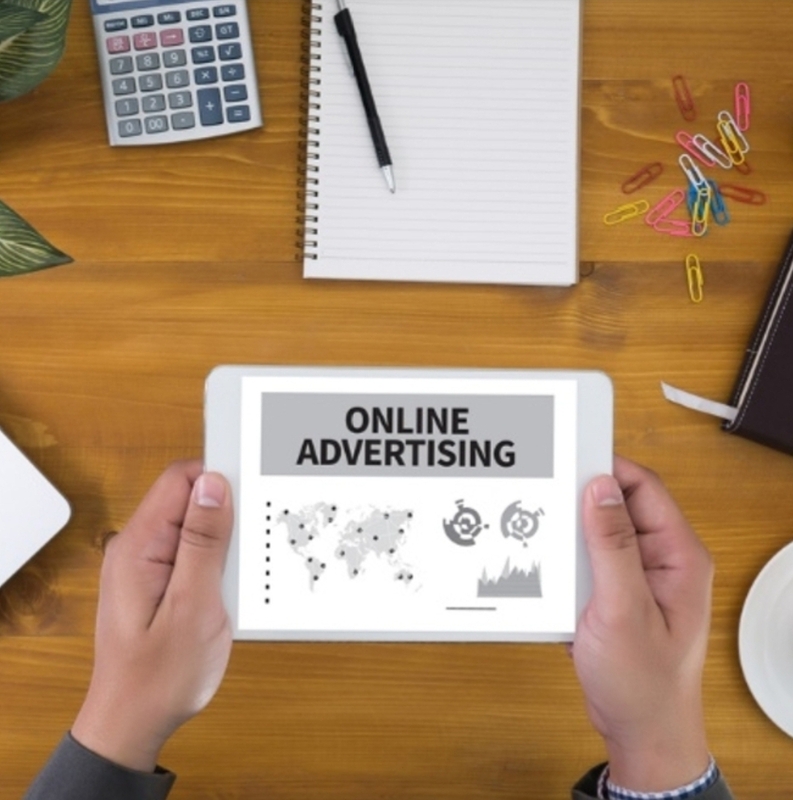 With the potential for a payoff like that out there, it’s absolutely imperative to consider as many ways as possible to hold on to your existing customer base. A proven method of accomplishing this is rewarding repeat customers with special offers in an effort to strengthen your relationship with them. Here are a few examples of winning loyalty programs to consider. Perhaps the most common loyalty program, point systems entice customers to make a set number of purchases to earn a valuable reward. The key here is to make it easy as possible. Southwest Airlines had one of the simplest point programs ever devised by an airline. For every 10 flights you took with the airline during a calendar year, you got one free. Take 20 you got two, take 30 you got three, 40 got you four and so on. Easy to understand and easy to redeem it was one of the all time great frequent flyer programs. You can follow the airline’s lead for your ebook store. For every 10 books a customer buys in a year, they get one free. The key is simplicity. People got very upset when Southwest switched to a more complicated program. As you’re strategizing ideas for how to sell an ebook online, consider instituting a program in which rewards become more valuable as your customers move farther up the food chain. Let 10 purchases get a customer a relatively inexpensive gift, while 30 garners them a better gift and 50 earns an even more valuable one. You can assign level designations as they make more purchases too. Purchasing 10 items within a certain time period qualifies them for “Silver Status”. Buying 30 makes them “Gold” while 50 turns them “Platinum”. 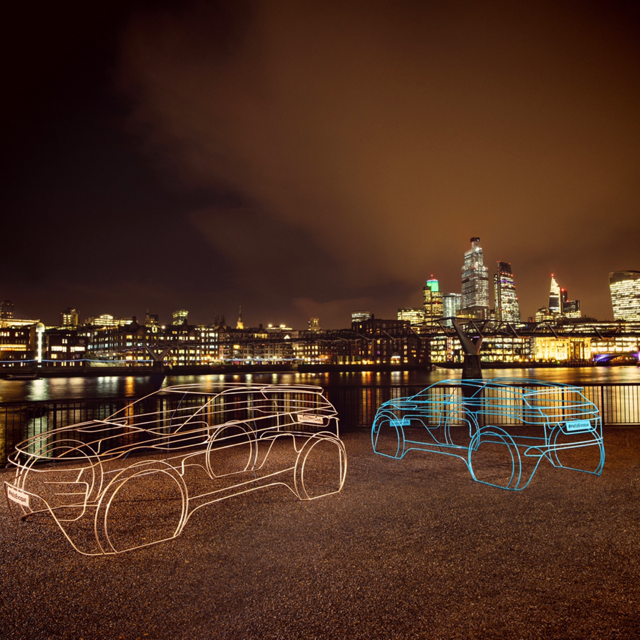 Along with gifts can come ever more desirable perks as customers reach the upper tiers. These can include benefits such as chats with authors, sneak previews of new titles and opportunities to purchase new ebooks before they’re published. Subscriptions and memberships are excellent ways to reward loyalty and get customers to make purchases in advance. Plus, they get a feeling of importance because they belong to your site’s VIP group. Wineries have been doing this with wine clubs for years. Similarly, the Amazon Prime strategy rewards users with fee two-day shipping; free streaming videos and a host of other benefits non-members don’t get. Remarkably, providing Prime benefits costs Amazon more than it makes in fees for them, but it serves as a loss leader. The company loses money on Prime memberships, but more than makes up on the purchases its Prime members make. By partnering with other merchants, you can allow your customers to earn discounts on other products and vice versa. This gives them the ability to turn their book purchases into currency on sites offering other things in which they have interests. Getting to know your clientele will serve you well as you determine what partnerships will be most beneficial. If your site caters primarily to a female shopper, then teaming with other sites offering products in which women are most likely to have an interest can be quite successful. The key is building a willing coalition of partners to which your customer base can relate. These are the four examples of winning loyalty programs are the most common you’ll find. Of course, there are a number of ways within each category to incorporate your own nuances. This will make it uniquely your own and ideally make participating even more attractive to your ideal customer. This entry was posted in Uncategorized and tagged 360 Magazine, airline, airplane, Amazon, Atrin Yazdani-Biuki, authors, book, clientele, currency, customer, customer base, customers, digital, ebook, flight, flights, free, gold, ideal, loyalty programs, membership, merchants, money, online, partnerships, plane, Platinum, pop culture, Prime memberships, product, products, Program, Purchase, reward, rewards, shopping, Silver Status, Southwest Airlines, streaming, Success, successful, Vaughn Lowery, videos, winning, winning loyalty programs on June 26, 2018 by wp360mag.